WordPress has empowered thousands of experienced and wannabe writers with the ability to share their knowledge on a particular topic with readers around the globe. Protect your WordPress images from unauthorized use by applying watermarks on images. However, there are several ways to watermark images, being a WordPress user. Below we’ve collected the 12 best free WordPress watermark widgets we could find. Some allow you place text watermarks. Some allow image watermarks. And some allow both. Take a look at some popular auto-watermark plugins for your WordPress blog and opt for the one that fits best. Don’t forget to give your most welcomed feedback to improve quality of our blog. You may be interested in the following modern trends related articles as well: Premium WordPress Themes for University, Free WordPress Shopping Cart Plugins, Free Dashboard Widgets for WordPress and Cool Orange Logo Designs Examples. Plugin WP Optimize By xTraffic automatically optimizes SEO’s benefits for your site by building internal links with keywords and focused links. In case you don’t set focus links, this plugin will automatically link to a post/page having the highest related content through optimized algorithm. The watermark is placed on your images through a htaccess and php file. This means your images are actually not modified. You can still download them from your FTP, and they will not have any watermark. 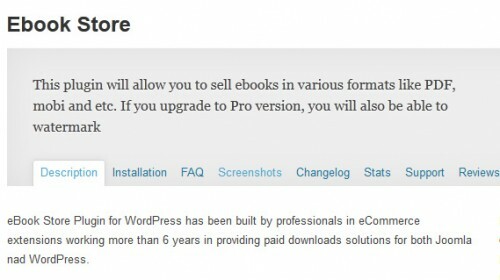 eBook Store Plugin for WordPress has been built by professionals in eCommerce extensions working more than 6 years in providing paid downloads solutions for both Joomla and WordPress. 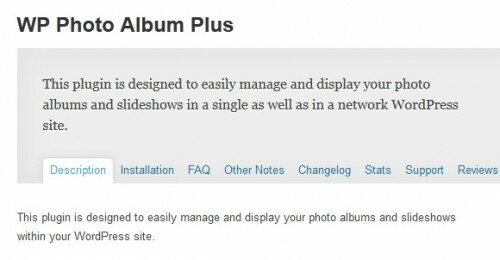 This plugin is designed to easily manage and display your photo albums and slideshows within your WordPress site. You can create various albums that contain photos as well as sub albums at the same time. The visitor of your site can run a slideshow from the photos in an album by a single mouseclick. Satellite’s goal is to present a responsive and beautiful slideshow experience to visitors of your WordPress site. Choose from multiple easy to use themes like Slideshows with full thumbnail displays, Flipbooks for that animated-gif style slideshow, or the brand new Infinite Scroll. Watermark can be text, image (png or gif) or both. Plenty of options can be set – from position, and size of watermark – separately for different types, text color, transparency and font, size of target images. Plugin allows you to add image watermark to images uploaded to the WordPress Media Library and add watermark to old images via bulk processing tool. Watermark position: top-left, top-middle, top-right, middle-left, middle-middle, middle-right, bottom-left, bottom-middle, bottom-right. This is an editorial contribution by CWR Development & Design, an Austin-based technical web design shop.